Khyber Pakhtunkhwa Assembly Election Result 2018 – The Khyber Pakhtunkhwa Assembly is the legislative body of the province, established under Article 106 of the Constitution of the Pakistan. The Khyber Pakhtunkhwa assembly has 124 elected members, out of which 99 seats are regular, 22 seats reserved for women and 3 seats for Non-Muslims. In 2013 Elections, Pakistan Tehreek e Insaf formed government and ruled successfully for five years. They worked hard for the development of the province and improved the system of police, judiciary, education, industry, water, economy, and energy. According to the Article 107, Khyber Pakhtunkhwa Assembly in Pakistan is elected for five years. After the completion of the period, assembly is dissolved and care taker provincial government takes over until the new elected cabinet is formed. Currently, the Khyber Pakhtunkhwa Assembly stands dissolved after completing its 5 year term on 28 May 2018. In accordance to the Article 113 of the constitution of Pakistan, the eligibility of member of KPK assembly is mentioned in the Article 62 of the constitution. He/ she must be an adult citizen of Khyber Pakhtunkhwa. The candidate should be at least 25 years of age, and a registered voter in any part of Khyber Pakhtunkhwa. The candidate should possess good character, and should have sound knowledge about Islamic teachings, should never be convicted in any crime etc. The Khyber Pakhtunkhwa Assembly is committed to achieve distinction in the best parliamentary practices and legislation, IT applications, research, public accounts and public service. The major functions of Khyber Pakhtunkhwa Assembly are to make laws within its power, approval of budgets, control the finances of the provinces. No expenditure can happen unless KPK assembly approves the provincial consolidated fund. The KPK Assembly also look after the commencement of the session like how many sessions should take place, and laws about bills also come under its jurisdiction. Provincial elections for the KPK assembly are scheduled to start from 25th July 2018. In the previous 2013 elections, Pakistan Tehreek-e-Insaf emerged as the largest party in the province with 48 seats. Jamiat Ulema e Islam (F) won 16 seats, and PTI was 15 seats short for forming the majority government. Pakistan Tehreek-e-Insaf therefore formed a coalition government with Jamaat-e-Islami and the Qaumi Watan Party, giving them 15 extra seats. 9 independent candidates out of 14 joined PTI, and they were able to claim majority in the assembly. Pervez Khattak was elected as Chief Minister of Khyber Pakhtunkhwa by securing 84 out of 124 votes. For the upcoming Khyber Pakhtunkhwa Assembly Election 2018 there will be few main political parties competing fiercely against each other to win maximum provincial assembly seats. These parties include PTI, PML (N), JUI-F, JI, QWP, PPP, ANP, and AJIP. Pakistan Tehreek e Insaf is the winning party of 2013 elections. There are over 99 provincial constituencies in the province. Khyber Pakhtunkhwa Assembly Constituencies 2018 include multiple constituencies in Abbotabad, Bannu, Chitral, Dera Ismail Khan, Bunair, Kohat, Lower Dir, Haripur, Charsadda, Nowshera, Mardan, Peshawar to name a few. Election Commission of Pakistan has finalized 25th July 2018 for the commencement of General Elections 2018 in the country. This page comprise of details related to Khyber Pakhtunkhwa Assembly Election Result 2018. The election for each constituency is held on a different date. As soon as the election starts and the result for each constituency are finalized, it will be available for the dedicated visitors. Khyber Pakhtunkhwa Assembly Election Result 2018 for each constituency is equally important. 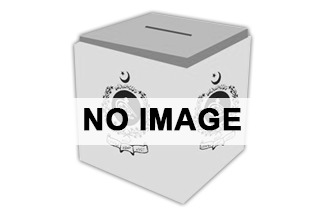 Find all the details of Khyber Pakhtunkhwa Assembly, Election Results, candidates’ details, party position, election campaign & constituency report and previous results of 2008, 2002, 2013, 2018 of Khyber Pakhtunkhwa Assembly.